The Speak 810 is the professional, intuitive UC compatible conference call speakerphone for meeting rooms. 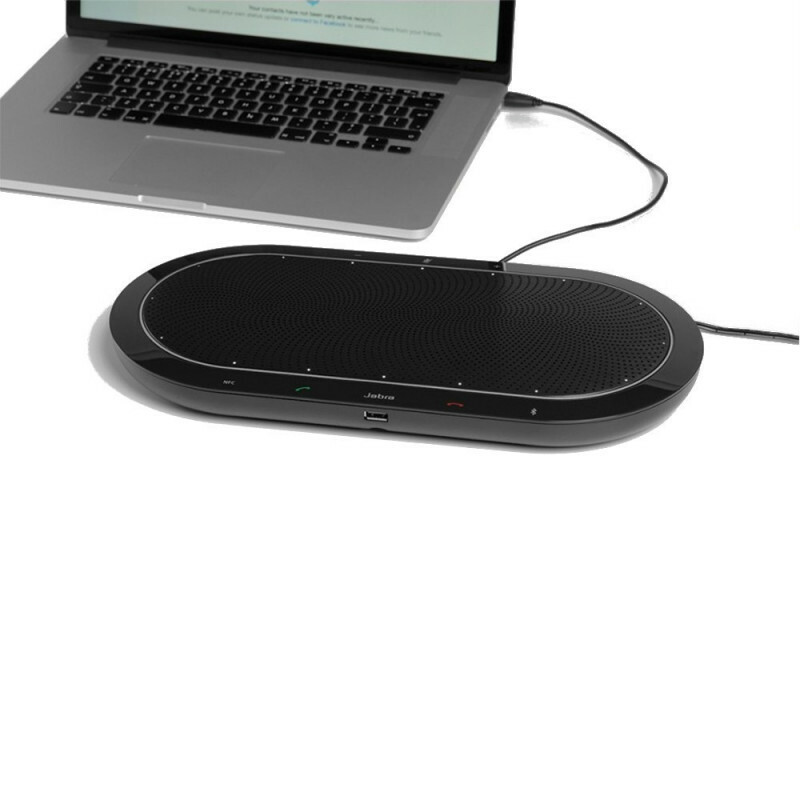 With USB, Bluetooth and 3,5mm jack connectivity to smart devices and laptops you can connect in seconds to keep your meeting agenda on schedule and keep all attendees engaged.... The Jabra Speak 810 is a sleek combination of glossy & matte black that features visual cues for sound, mute functions and call information. The 810 is labeled as having a slim compact design but with specs of 14.5” x 11” x 2”, it isn’t a small device. The Jabra Speak 810 supports up to 4.5m audio pickup range. This unit requires AC Power adapter (included) connected to power outlet at all times to operate. If connected to a PC/Laptop, a USB cable (included) will need to be connected, in addition to AC power. 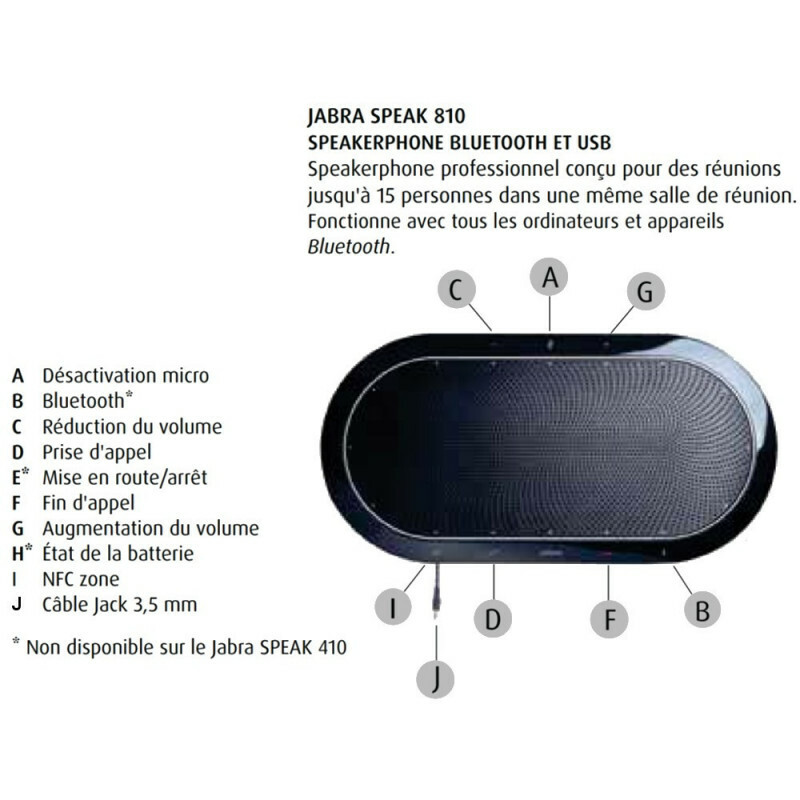 Jabra Speak 810 MS is a Skype for Business certified speakerphone with USB, Bluetooth and 3.5mm connectivity that utilizes six ZoomTalk microphones. The Jabra Speak 810 comes in two models; the Jabra Speak 810 UC which supports the Unified Communications (UC) protocol and the Jabra Speak 810 MS which is optimized for Skype for Business. 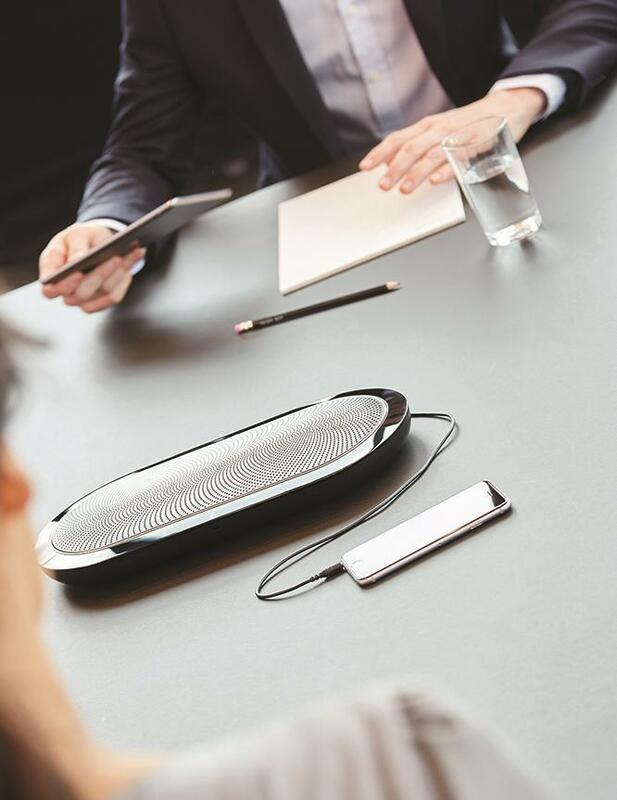 The Jabra SPEAK 810 MS Speakerphone makes conference calling simple, and also allows for easy collaboration. With a slim, compact design, you receive the perfect solution for audio conferencing with an integrated USB Cable for quick set up.